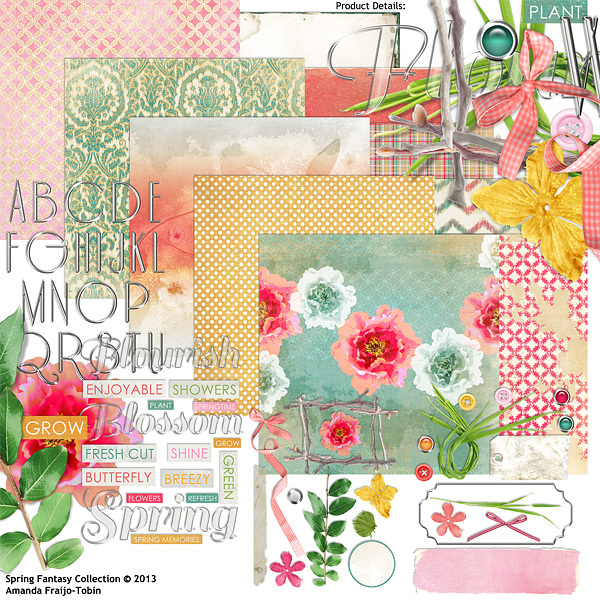 Beautiful textures and colors to represent spring in all it's glory. 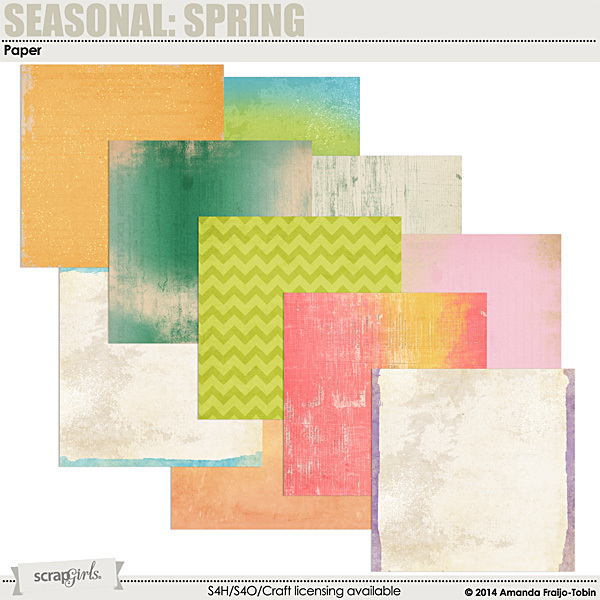 A group of solid yet not boring digital scrapbooking papers that are lightly textured, and decorated with subtle paint splats, gradients and edges. 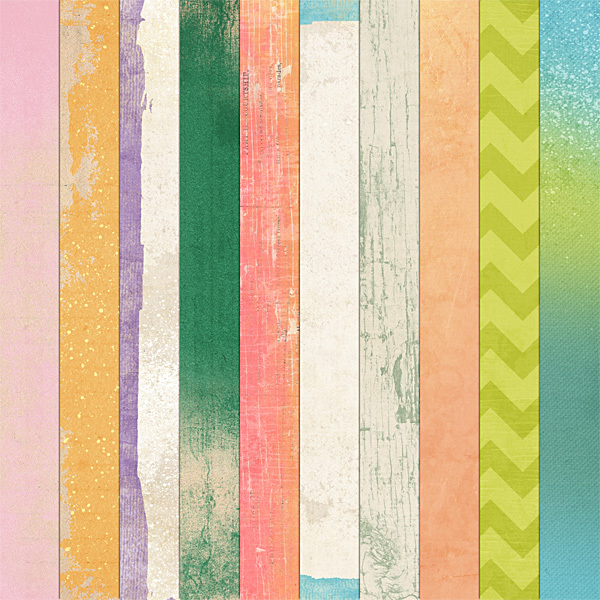 Includes ten 12x12 print quality backgrounds. 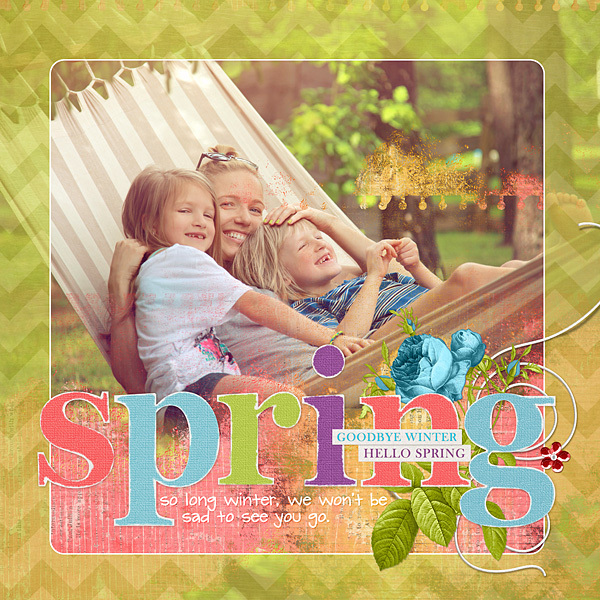 Create magical spring masterpieces with these digital embellishment clusters and paper piecing blended cut outs. Embellishments range in size from approx. 5x4 - 12x4 inches. Create unique halftone and comic book related backgrounds, talk bubbles, and accents with this digital scrapbooking brush set biggie. Add gradients, clip papers and layer these large and high-definition brushes to create different styles. Both .abr and PNG files are included. Enjoy your journey to a faraway land of imagination with the Alice Collection Biggie by Cheré Kaye Designs. 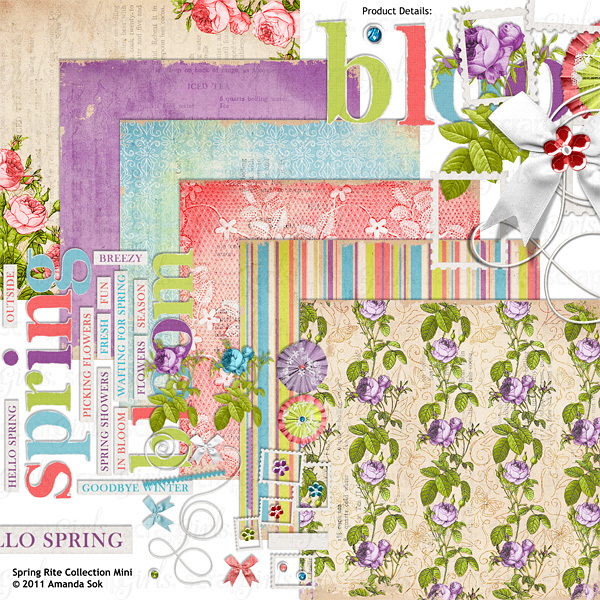 Filled to the brim with unique elements and beautifully textured papers, you'll reach for this digital scrapbooking collection over and over again. 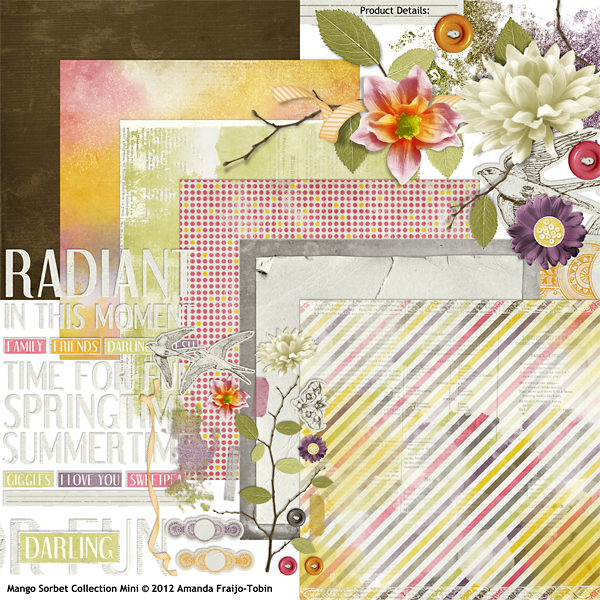 Under the Canopy Extra Papers by Aimee Harrison are PU/S2H/S4O friendly.